As we grow and develop as brewers, beer connoisseurs, and craftsmen, it is important to learn from others who have valuable insight to share. Often those others are writers and professionals who share their advice via printed or electronic media. 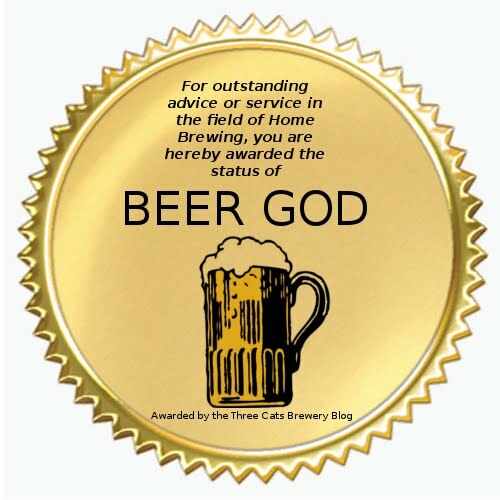 But just as often, if not more, these advices come from fellow brewers who answer a simple (or not so simple) question. Sometimes, the difference between success and sewage hinges on who's advice you listen to. When we do get an especially good piece of advice, I feel it is important to share it and acknowledge to giver. I recently got such an advice: I had brewed a lager with a bit of difficulty, and had invested quite some time and effort into it. Considering the brew's rocky birth, I was thrilled when I tasted it at bottling and found that it had quite the potential. However, when I tasted the first bottle after carbonation I was nightly dismayed: The beer had almost no carbonation!
" Warm them up and turn them upside down to get the yeast back into suspension. If that doesn't work you can uncap all the bottles and dose with a bit of fresh yeast." "I'd wait 2-3 weeks, it is not an instant fix. If that doesn't work you can try the reyeasting." I was a bit skeptical that such a simple idea would work. But my other options were pouring more yeast in or pouring the beer out, so I didn't mind trying. I took the beer out of the refrigerator, gave it a few good shakes, and turned it upside down. Then I forgot about it until this last weekend. When I came back to it a couple of days ago, I poured a cold bottle into a mug, and was amazed to see actual stable head forming on the beer! I tasted it, and by gum, it had carbonation!. Not as much as I'd like (I think I didn't quite give it enough sugar) but definitely in the realm of drinkability. 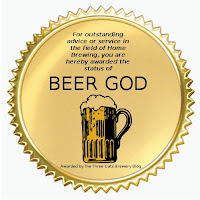 My beer had gone from sewage to success!